So here I am. Finally in the world of blogging. I’ve always hated writing or maybe it was just because I wasn’t any good at it. At school it wa my weakest subject and when I started teaching, I hated literacy. Working hard on it with my year 3s helped, but I’m still just a beginner. So who knows, maybe I’ll enjoy blogging, maybe I wont. Anyway, what do I do? I’m a primary teacher currently on secondment working with the local authority, Hampshire, on the rollout of their learning platform Studywiz. It has its ups and its downs but the potential for collaboration across Hampshire is huge. As we stand at the moment in October 09, we have trained just under 200 schools and will have 420 onboard by January. It is a mammoth task and one that has been exciting, but full of struggles and learning opportunities. Throughout the secondment my mind has always been torn about what to do next. Do I go back to my old school, Hulbert? Do i look somewhere new? Do I try and combine Studywiz and teaching? I think the half and half approach was where my mind has been at for most of the past year, but joining Twitter has given me an enthusiasm for trying new things with children. I follow a few teachers on Twitter and constantly, every day, I see new sites, new links, new ideas that I wish I was using with a class of my own. Seeing the virtual timeline gave me ideas about creating a class timeline or maybe one for the whole school? Looking at blogs about the use of the Wii for maths or deep sea diving has made me want to go and see what other opportunities there are for learning. A visit to Hulbert last week gave me a buzz. They are using Community outreach money to equip an empty classroom with 6 Wiis! I mentioned I had heard of ways of using it and now I’ve been invited to lead the training. What about Wii golf or baseball to find out how far the ball has gone? Manipulating the numbers to provide the different sums needed. What about using Mario Kart to explore different worlds and settings? The fire of Bowser’s Castle, the dark, broody scenes of the highway, all rich for vocabulary collection. So now I’m thinking I want to go back and teach full time. The opportunities are huge. I want to use the learning platform to share a radio show. I want to create animations and games using tools like Scratch. I want children to comment and share ideas using Edmodo or Studywiz. I want to share vocabulary using Wordle. Am I being greedy? Maybe. But I have always tried new things with my class, but maybe this time I need to think more about the whole-school. How will Google calendars help with whole school organisation? How will the website help with invigorating home-school links? I have ideas bouncing all over the place and this is even if ignore 90% of the links on Twitter. I’ve signed up for a delicious account. What about sharing websites with the whole staff? We have a school account and tag the bookmarks to share with everyone. I need to play with it more but it could work. Are the staff too old-school for it to work? Who knows. Will the head want me to go in and change anything? Will there be another job available that tempts me instead? Who knows! But the opportunities are there. Anyway…thats the first blog post. Not sure what will become of this, it will probably just be a list of the useful things I find on Twitter, tagged and ready for use next year when/if I go into class again. 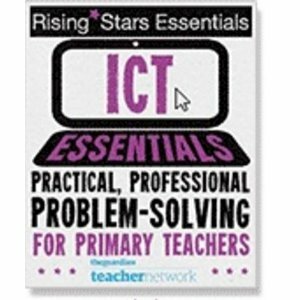 Tomorrow I’m off for the first join meeting with the Primary and Secondary Leading ICT teachers. Could be interesting, and I know at least one uses Delicious so I’m sure he’ll be my first friend on there!